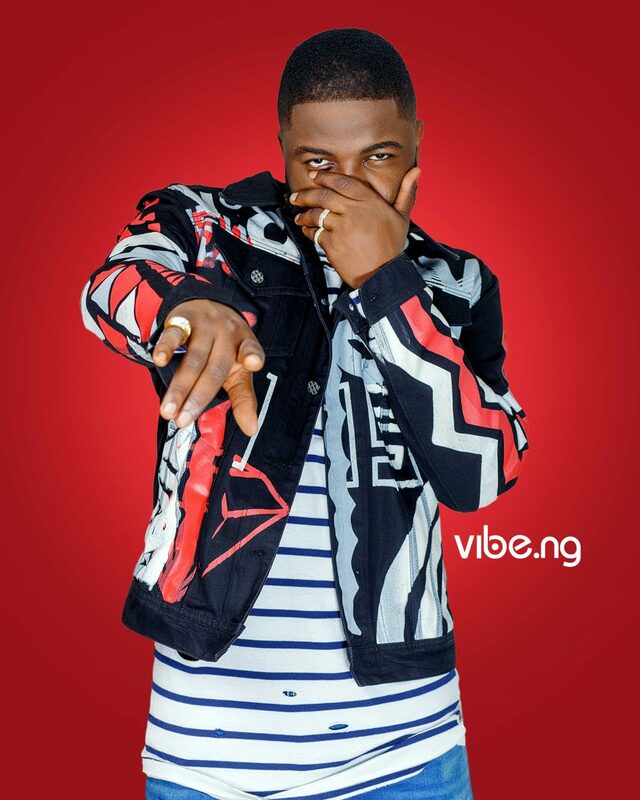 Nigerian singer Skales has made his intention known towards the upcoming 2019 general elections. 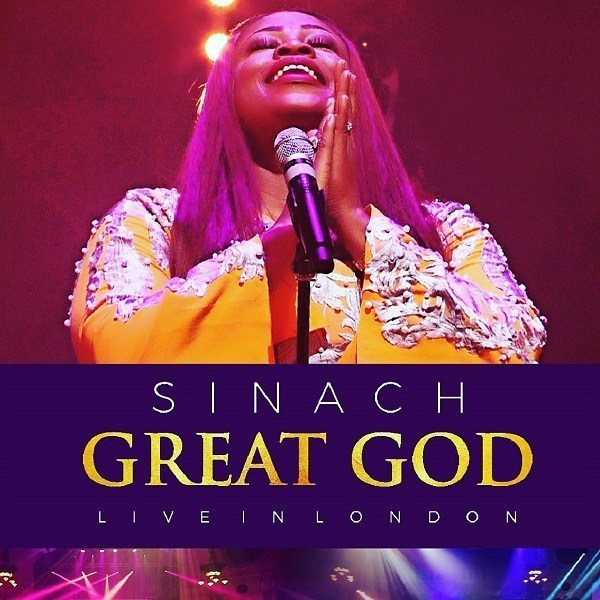 The “Temper” crooner plans not to vote as the country approaches an election year. 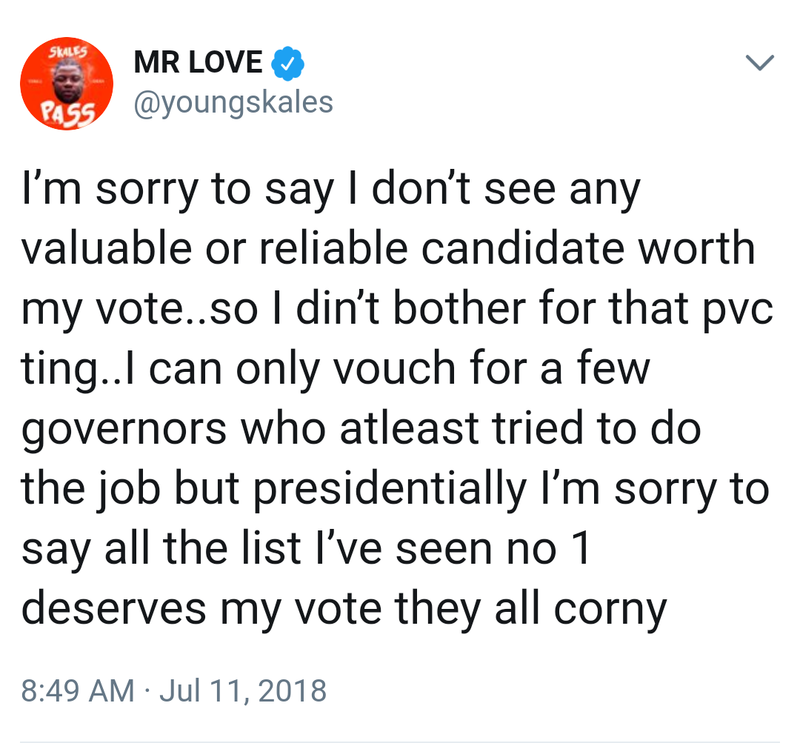 Skales made it known that he has not found any presidential candidate worthy of his vote, hence he has not bothered getting his PVC. 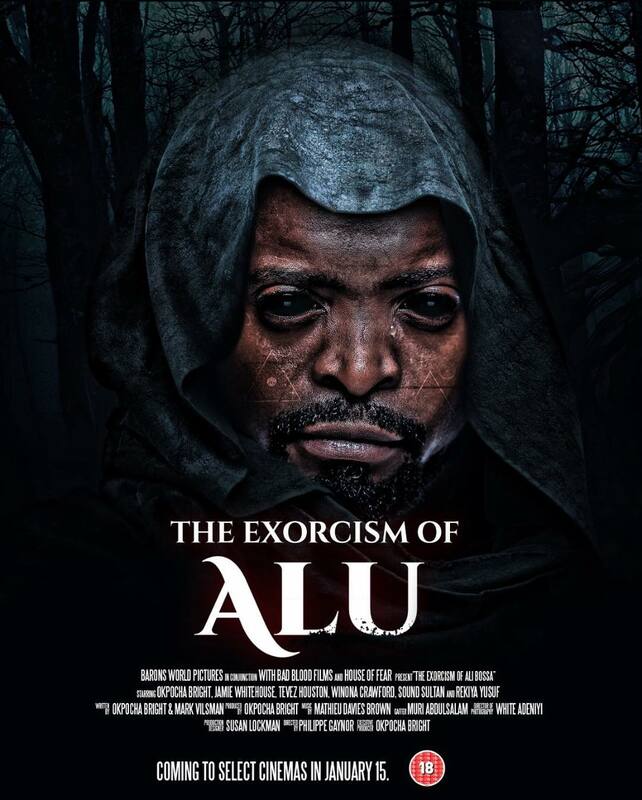 The Baseline Music act argued that those gunning for the office of the President of Nigeria are corny. A bunch of recycled corrupt leaders with same obsolete ideas. 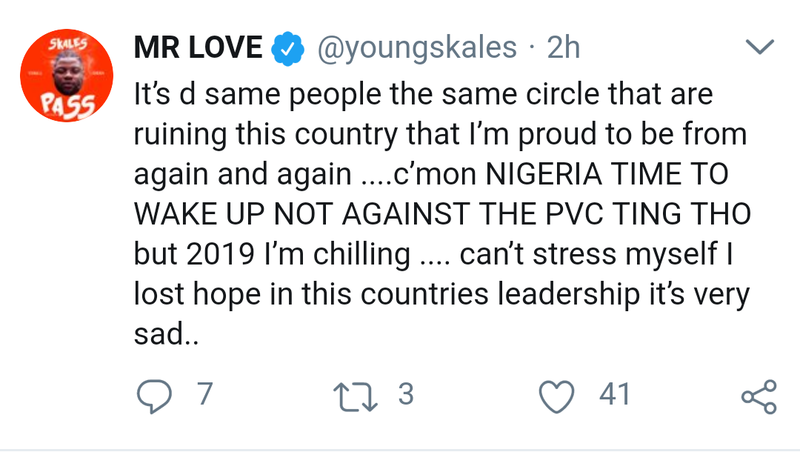 Burna Boy had also said he wasn’t voting too in the general elections for about the same reason. 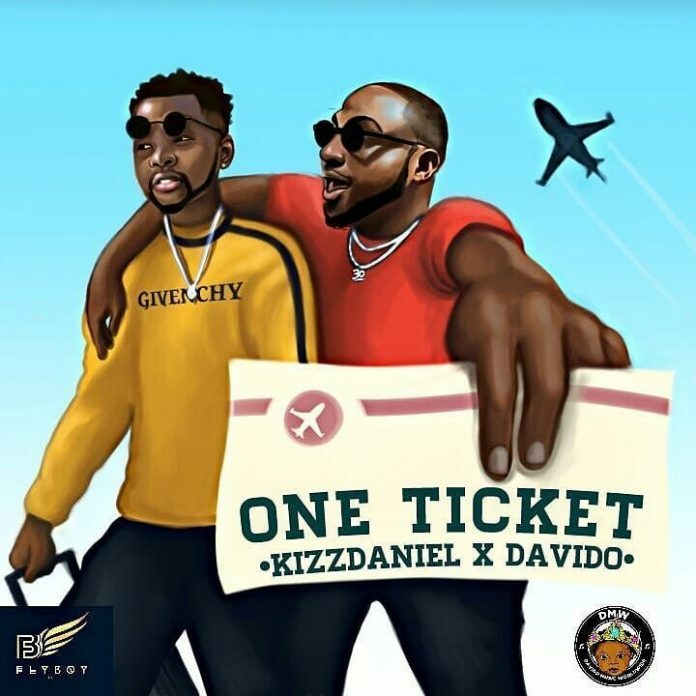 The two have gone against the grain as other colleagues and celebrities have gotten their PVCs and urged fans to do same in readiness for 2019. 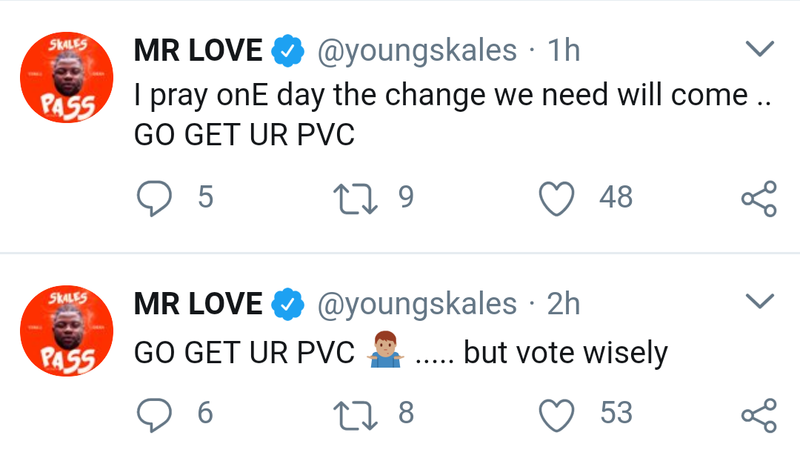 Notwithstanding, Skales urged others to get their PVCs and vote wisely regardless of his stance.